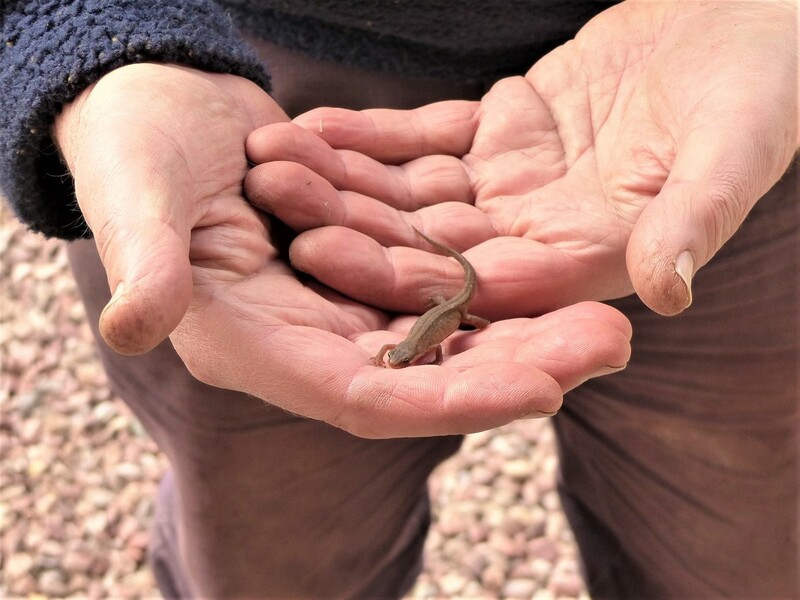 Chris was preparing the ground for the roses when he found this little newt. If there's one there will certainly be more. This is great news. How very wonderful, delighted for you and so pleased your wildlife friendly habitat is working. How lovely - so good to have newts in the garden & pond . How exciting, just give him my address will you! Do they eat snails? I need something that eats snails in my garden! I so like these little guys.